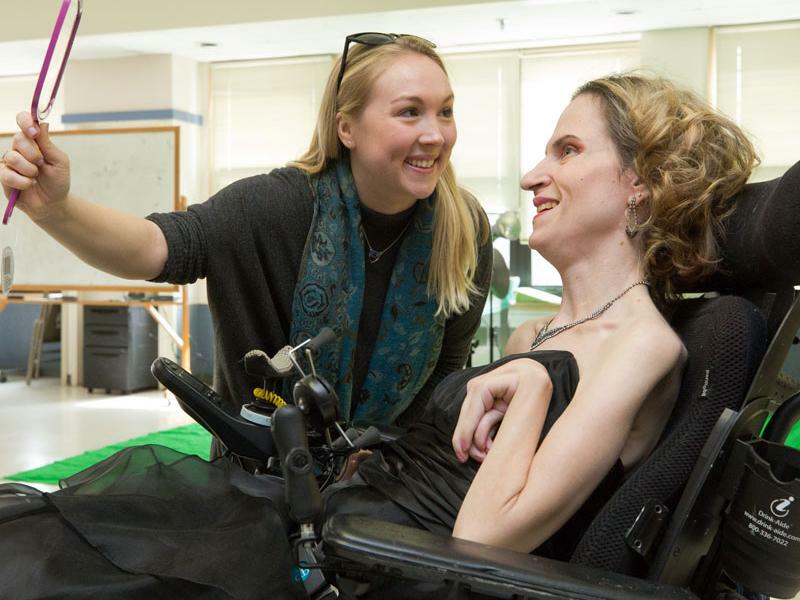 Inglis has partnered with the Bold Beauty Project, a visual arts initiative that showcases women in the Philadelphia area living with various disabilities. The Bold Beauty Exhibition seeks to create social change by utilizing art at the intersection of beauty and disability. Four of the participating models are women from Inglis House, these women are being photographed along with their personal story to recognize their beauty, strength and their boldness. This special showcase at MossRehab will run from April 12-May 20th as part of the All About Art Exhibition which features other works of art by artists with physical disabilities. Click here to see behind the scene photos of the Bold Beauty photoshoots at Inglis! Click here to learn more about the Bold Beauty Project. Or, if you want to learn more about the All About Art Exhibit, click here.